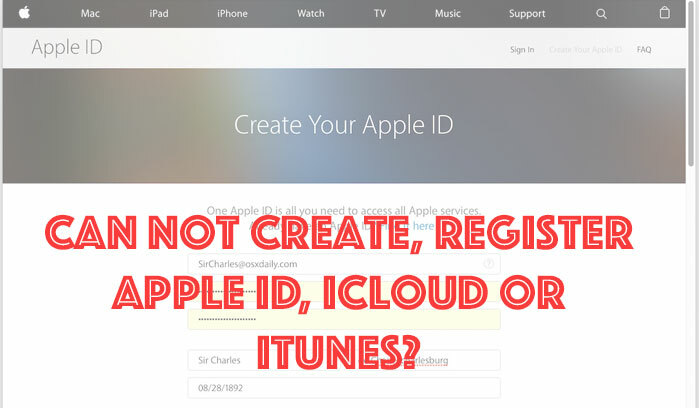 0.1 How to create Apple ID? Today, not being able to create Apple ID is rather popular, not only in Viet Nam but also all over the world. There are 3 main reasons lead to the fact that users can not create their own acc: Use invalid email, the device created your Apply Id has not been logged out of the system, can not ignore the declaration of payment card. ( which is used to buy copyrighted content from the App Store). 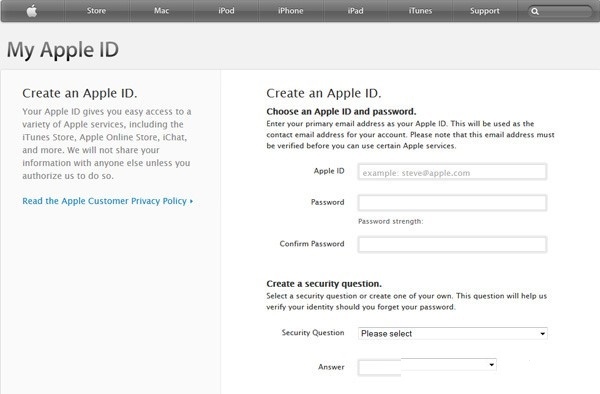 To create an Apple ID, users need to have an email that is valid and meets all the mandatory requirements of Apple. Those requirements include a real email that is normally operating, email that has not been used to create any other Apple ID before and email that doesn’t have the domain name owned by Apple. You can choose any of those free emails such as Gmail, Yahoo Mail, Hotmail… or even email with the company domain, as long as it satisfies the aforementioned conditions. In the next step of the Apple ID registration process, you must declare password for your Apple ID. Apple passwords are regulated strictly by Apple such as password must contain at least a lowercase letter, uppercase character, a number; password does not contain consecutive identical characters, the password does not coincide with the account name, the minimum password length is 8 characters or more and is not easy to guess password form. For example : “icloudsignin@gmail.com” can set password is “icloudsignin”. This password is valid because it meets the requirements listed above. This kind of password will prevent your account from being hacked. After finishing declaring email and password, you’ll have to choose a secret questions and an answer that you’ll keep for yourself. You need to remember this in case of forgetting password or confirming your account. To ensure Apple ID registration process goes smoothly, you should log out from the iTunes / App Store system. 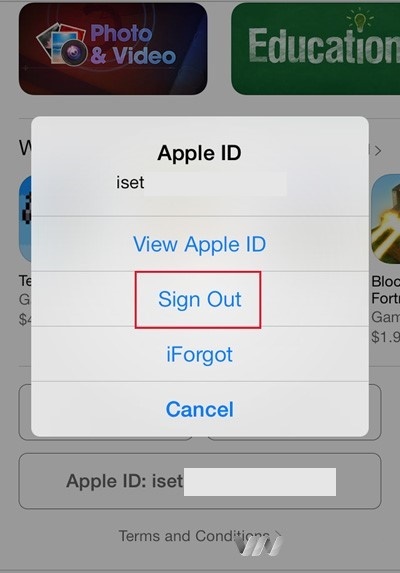 To sign out, on the iPhone / iPad, you select the Settings button in the main screen, pull down to the bottom and go to the iTunes & App Store, touch the Apple ID option that is using and select Sign out. If you use your computer to create Apple ID, you run iTunes then sign out Apple ID account used before. It’s most likely that the user can not create Apple ID because they do not find the “None” option to ignore the declaration of international payment cards (VISA / MasterCard). In fact, to ignore the declaration of payment card, you can perform an aid operation which is to find and download an extra free app from the App Store on your iPhone / iPad or iTunes on your computer. First you type the word “Free” in the search box to find free apps and download it. The dialog box asks to enter Apple ID or create a new Apple ID will appear, choose to create a new Apple ID and you will see the option “None” in the billing information. You click on the “None” to skip the payment information and complete the process of creating Apple ID. Those are 3 main reasons of why you can not create your own Apple ID. Refer to my 2 ways of registration that are aforementioned to successfully register. Btw, I’m going to write a post about how to creat Apple ID through iTunes on the PC next time.